World of Warcraft is still going. Yes, for over a decade, this iconic game surpassed its predecessor, Everquest, and became the household reference in regards to massive multiplayer online games. But before we dive into the meat of this first-month review, I want to clarify where I’m coming from in regards to evaluating this content. First, I play most MMOs casually, but I have enough dedication to get to the end-game content without mastery of it. Second, I don’t mind grindy MMOs, as long as I’m stimulated with the narrative and social elements. Third, visuals and gameplay are something I value if given enough capacity to customize my experience with, whether it be through varied costume composition and engaging mini-games. Siphoning the power from Sargeras’ titanic sword. This is coming from a heavy Horde perspective, as most of my characters are Horde, but I’ve recognized the special design and dedication that is given to the Alliance perspective. Having toured Kul Tiras from that perspective, I appreciate the beautiful scenery, music, and cultural details, rivaling some of the sights I’ve experienced in Mists of Pandaria. The haunting forests of Drustvar, fortified city-port of Boralis within Tiragarde Sound, and the rolling hills of Stormsong Valley that are threatened by a tentacled stone monument in the distance. Absolutely stunning! The journey to Battle for Azeroth was very different from the experiences that bridged Warlords of Draenor to Legion. Legion escalated your power so much, that it felt like a power fantasy that was fully realized when you went up against the cosmic power of Titans and the unending powers of the demonic legions. To scale that power down, Blizzard ended your power by removing the potency of your Artifact Weapons and doing a stat-crunch, which they’ve done every so often to rebalance content across the entire game. 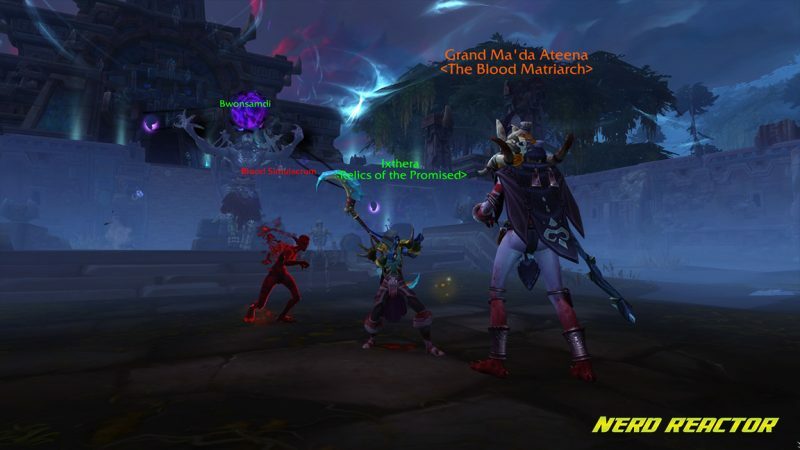 The narrative to remove your Artifact Weapons’ potency felt valid enough, but the transition of the narrative into the Horde-Alliance conflict felt jarring for various players. When the combined power of Horde and Alliance was high on altruism during Legion, transitioning to a faction-conflict seemed counterproductive. Sylvanas’s motivations transitioned from preserving and growing her people, to decimating enemies as the new Horde Warchief. The fanbase compared her to Garrosh 2.0. So the pre-patch activities dealt with the fight over the blood of the planet, a crystal known as Azerite, which manifested when the Titan Sargeras stabbed his sword into the planet— and it was the players’ Artifact Weapons that siphoned the blade’s power. This pre-patch eventually led to the destruction of the Night Elf home city, and upon the expansion’s launch, it provided the foundation for the battle which led to the Undead (Forsaken) losing their home city. 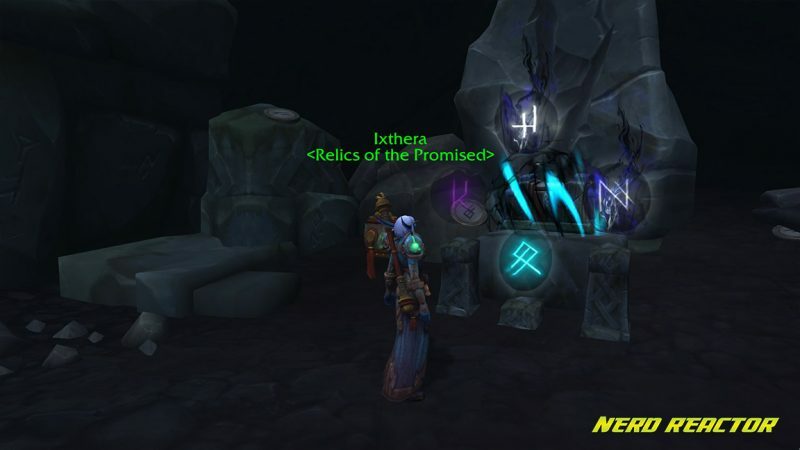 From all that early content, putting aside Sylvanas’s leadership direction, Anduin’s concerns, and Saurfang’s critique of honor and servitude, we now have a new Artifact system through a neckpiece: The Heart of Azeroth. This neckpiece follows the same protocol of acquiring power in the same manner that the Artifact Weapons did, except that you don’t have to invest them into Artifact Traits. Instead, specific head, shoulder, and chest-pieces unlock new trait options depending on the level of the Heart of Azeroth. It is far simpler of a design than doing each and every Artifact Weapon per class specialization, with regards to gameplay enhancing traits. 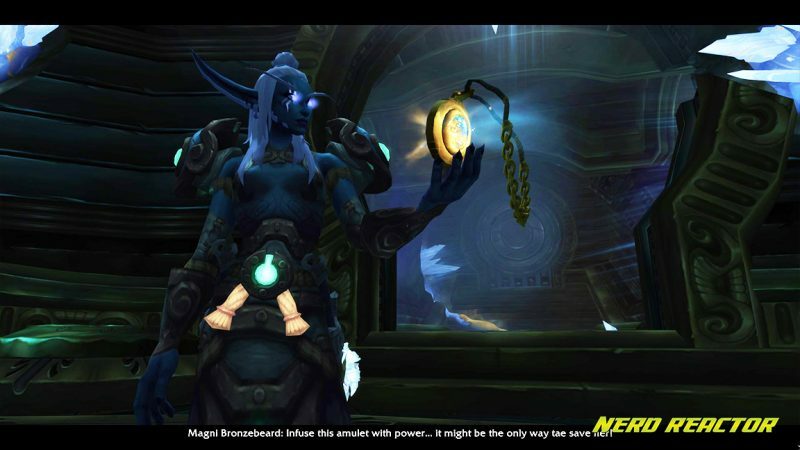 Receiving the Heart of Azeroth. 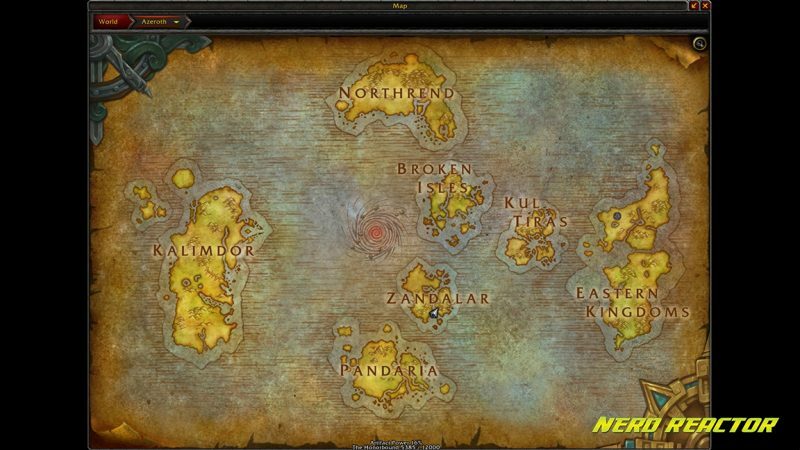 The new world map of Azeroth, showing the locations of Zandalar and Kul Tiras. And instead of one new content map, it has been split between the Horde and Alliance: Zuldazar for the Horde, Kul Tiras for the Alliance. Each island cluster has its own unique design ecosystem and it has created distinct experiences because of it. If you notice, Kul Tiras is close to the Eastern Kingdoms and Zandalar is close to Pandaria. There is a significant effect to this when it comes to the content. Kul Tiras experienced the aftermath of storylines that extended from the end of Warcraft 3, and new stories that surround the Tide Priests and the mysterious magic of Drustvar. 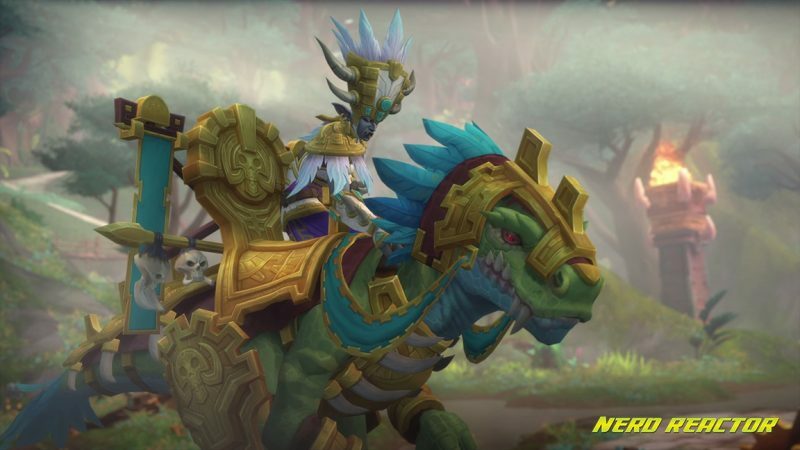 In comparison, Zandalar is the natural extension of the Zandalari-Mogu alliance that was rekindled from Mists of Pandaria, plus the return of Zul the Prophet. Instead of these feeling like self-contained experiences, these new regions for Battle for Azeroth feel like a true extension of many assets and themes we’ve seen before. However for those returning to the game after a hiatus, there are plenty of new creatures and mechanics to experience. Dazar’alor. Capital city of the Zandalar Empire. Alliance assault on Dazar’alor, while the Horde scramble their defenses. One quality-of-life advancement that was made in Battle for Azeroth was the gameplay development for Player-vs-Player combat in the world (compared to instanced sessions between opposing factions). Previously the game features PvP dedicated servers, where players can openly attack each other outside of safe zones. This time, Blizzard has removed the PvP tag on all servers, leaving only Normal and RP server-types. Instead of PvP servers, each player can activate their War-Mode toggle, which shifts players into a dimension where others have done likewise, so all PvP-oriented individuals will be playing with and against each other and leave those who do not enjoy this type of gameplay. To further enhance the incentive of activating War Mode, players have access to additional talents which augment their chosen gameplay. These talents were previously used in PvP leveling systems during the Legion expansion, but now War-Mode players have full access for when they roam the world. Another feature of War-Mode is War Supply Drops, reminiscent of the Zombie Survival Game genre. It’s where an airplane will fly overhead every so often and cast a supply crate for a faction to claim. 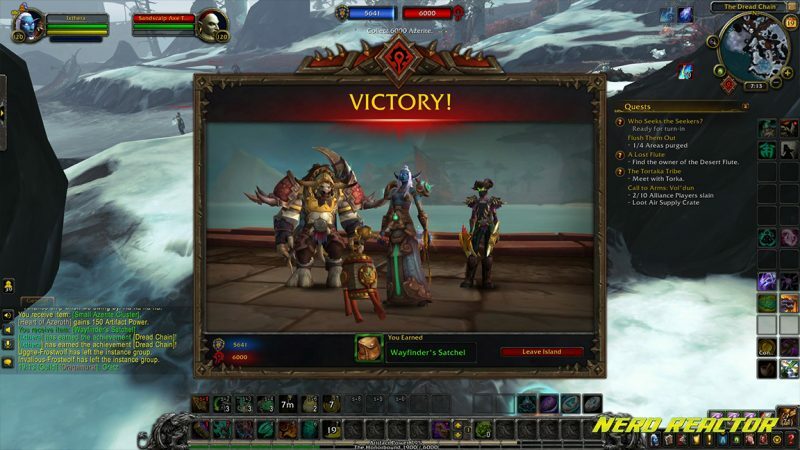 There is also a bonus to experience and rewards when players engage War Mode, cementing the fact that Blizzard has given some consideration towards the PvP experience this time around. It makes sense– the expansion revolves around the faction conflict after all! 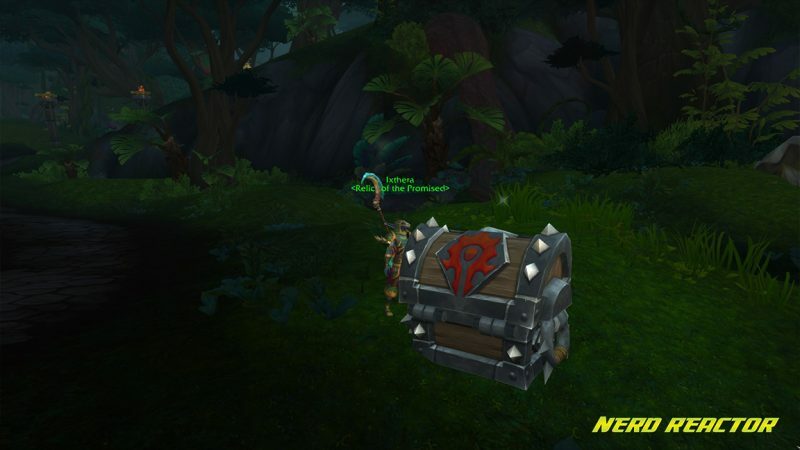 A War Supply Drop claimed by the Horde. 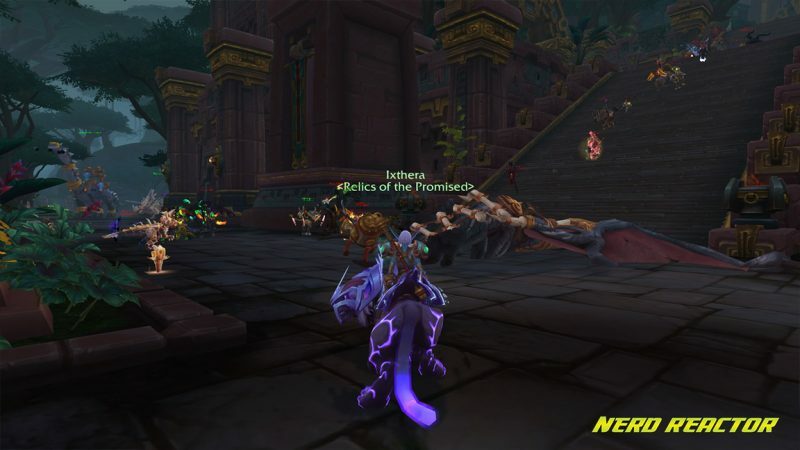 An Attack on Bwonsamdi’s Temple in Nazmir. Another fun adjustment to their quality-of-life design is their splitting the profession recipes into individual expansions. Previously it was just a huge list that you had to sift through. Furthermore, it was a long skill bar. Now, each expansion’s set of profession recipes maintain their own skill block, so you don’t have to feel pressured to go back if you want to move forward with newer expansions’ recipes. The new Profession Skill split and the new Reputation sets for Battle for Azeroth. For a game launch, this is by far the smoothest expansion launch that World of Warcraft has ever provided. With a synchronized launch around the globe, there were no major login queues, except for those servers with an already high population. While many bugs have been squashed since its Beta, some still linger like the one shown below. While these bugs are not necessarily game-breaking, they do make for confusing experiences in the game. One particular bug had the War Supply Drop clip through some stone steps, so no one could access the crate. A glitch with the Mission Table. Adding someone resets the Chance and tacks on their contribution, instead of purely adding onto the others’ Chances. Establishing a Horde outpost in Kul Tiras. 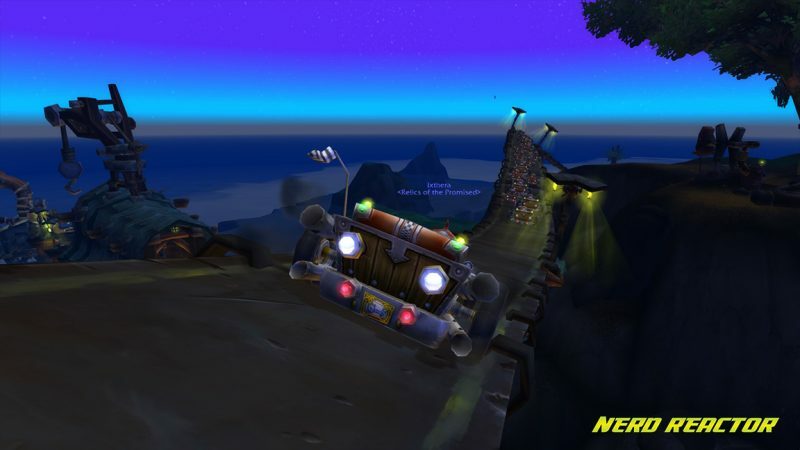 One of the coolest additions to World of Warcraft is Island Expeditions. Due to the large quantities of Azeroth’s crystallized blood (Azerite) that is leaking all over the place, various factions are vying to stockpile this potent resource for themselves. Your job is to gather enough Azerite before the opposing team does. 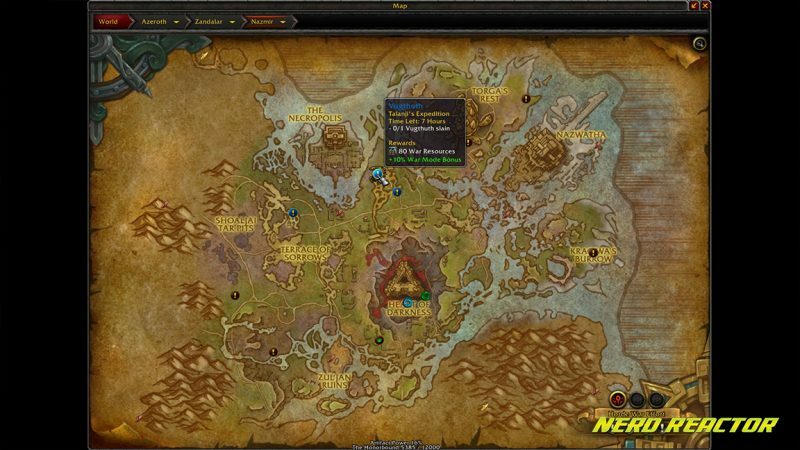 Every week, there is a rotation of new maps that you randomly engage, all to fulfill the week’s bounty and gain a sizable reputation boost to your War faction (Honorbound for Horde, 7th Legion for Alliance). The difficulty available for Island Expeditions is similar to the other game modes: Normal, Heroic, Mythic, and PvP. If I didn’t have the ambition to want to do so much in World of Warcraft, I would just stick to doing Island Expedition a good chunk of the time I’m logged in. It is a very fun experience, especially when the opposing faction taunts you and have their own personal strategies that make each one unique when fighting against them. The inclusion of Allied Races, which add more races to each faction, has allowed for more identity experiences that have been fun (this was something they started including towards the end of Legion). Although they are adapted from pre-existing races, they are tweaked to be aligned with new details, audio, and some new animations. Each of these Allied Races has their own racial abilities that set them apart from others that may feel similar to them. Currently, I’m running Nightborne characters, because they’re practically Night Elves— but for Horde. 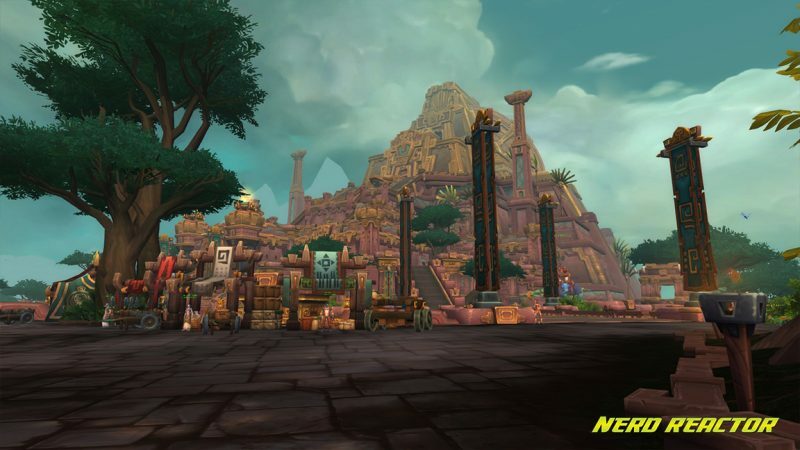 These Allied Races are locked behind levels of Reputation, so you need to build that reputation and experience their storylines before having access to that Allied Race. One race I’m working towards is the Mag’har Orcs. 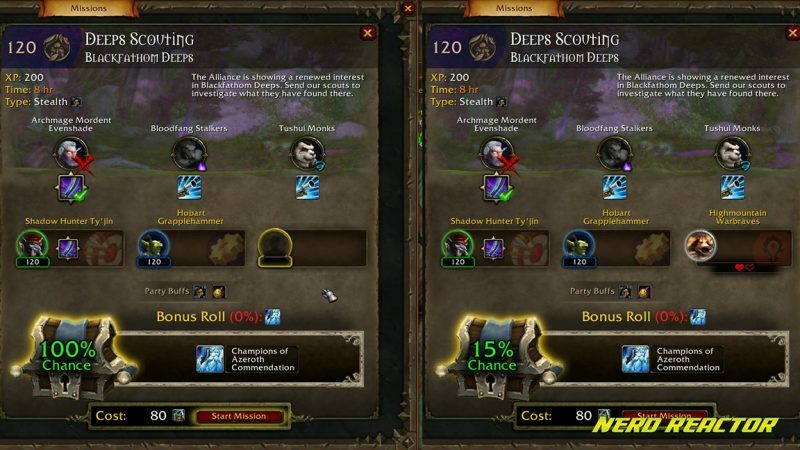 Tes the ones from Alternate-Universe Draenor, which can be unlocked upon reaching Exalted with the Honorbound faction. 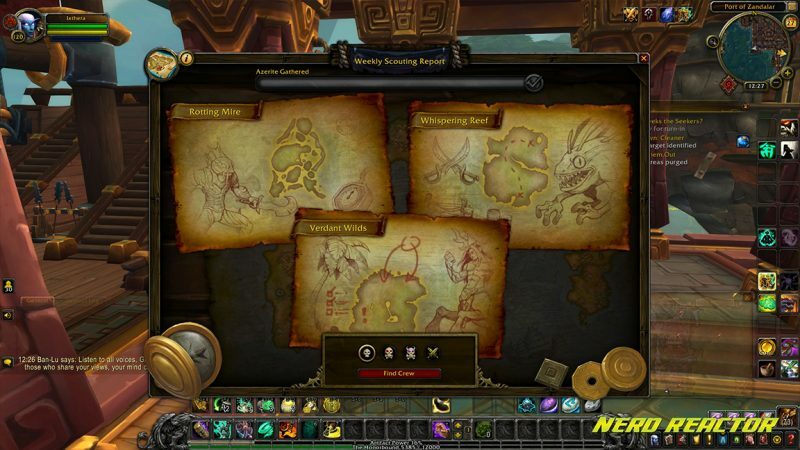 There are also a variety of puzzles that are not a huge aspect of the experience, but these various mini-games that are scattered throughout this expansion offer a change of pace to the constant reputation gains, resource gathering, and World Quests. The one pictured below was surprising because no one treasure chest in this game had a magical puzzle system. Fortunately, a player whispered the combination to me so that I could figure out how to unlock it. Generally, players are helpful even in War Mode. Perception-altering. As much as I enjoy my time in Battle for Azeroth, it still has similar mechanics that draw upon previous expansions’ systems. 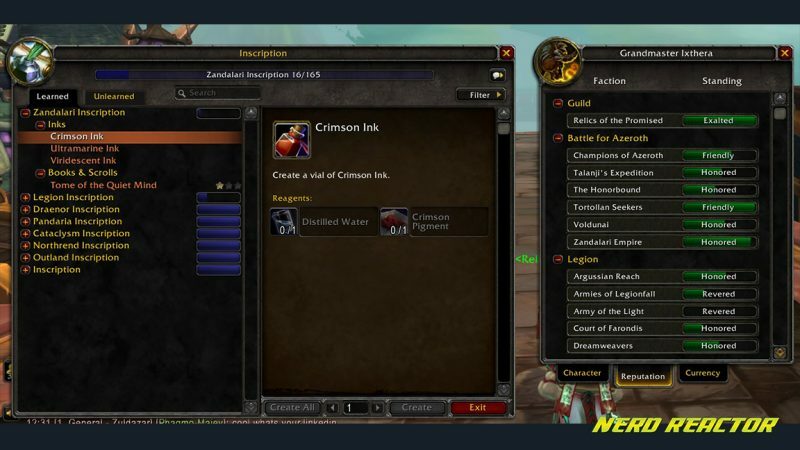 Some are thoroughly considered, like the Heart of Azeroth being a replacement for Artifact Weapons in regards to the system mechanics. Other things like the Mission Table table seem a little short with engagement, like the polar opposite of what the Mission Table was in Warlords of Draenor. Different. Its still World of Warcraft. If you were burned out from World of Warcraft before, it will eventually hit you again. For me, World of Warcraft is a great activity to relax and unwind, but I do get tired despite my mind being stimulated. This kind of dissonance can stick to you after you leave the game if you don’t have any active goals within it. Peaceful. Compared to Legion before it, the faction war between the Horde and Alliance takes center stage. 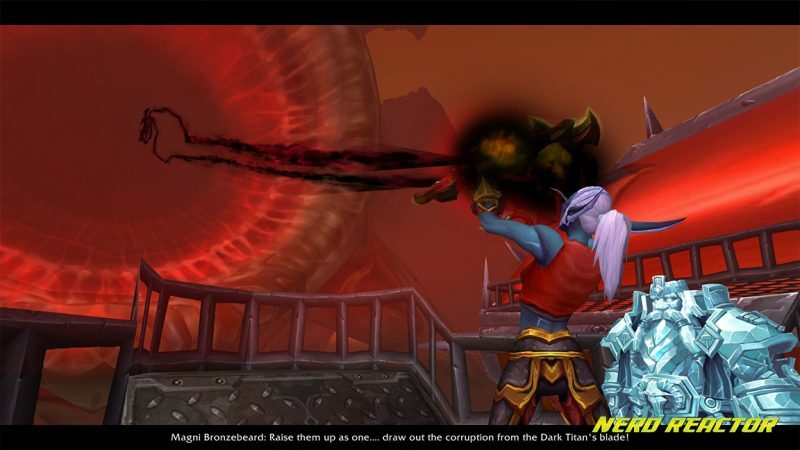 There is a dissenting voice out there that questioned why we were even in this war, Saurfang included, especially after defeating the greatest enemy in the universe. 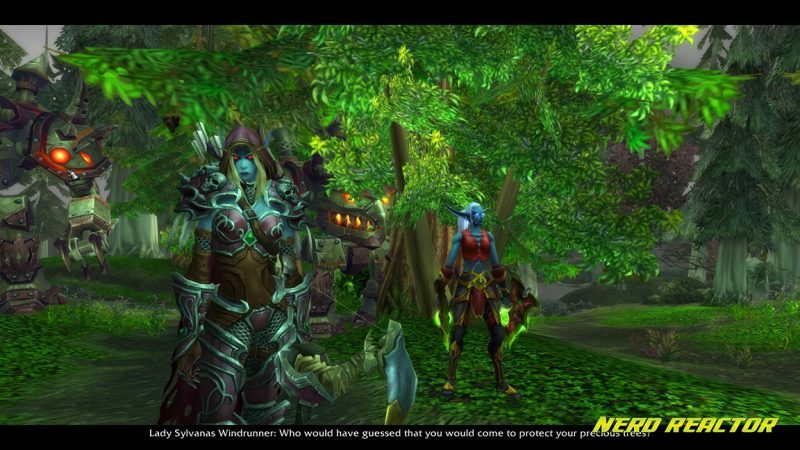 Many Horde players don’t see Sylvanas in a favorable light, given the atrocities she committed to spark this conflict. A few YouTube influencers even called her a classic Mustachioed Villain. But we’re here now and we’re fighting this war because we have been funneled to it. 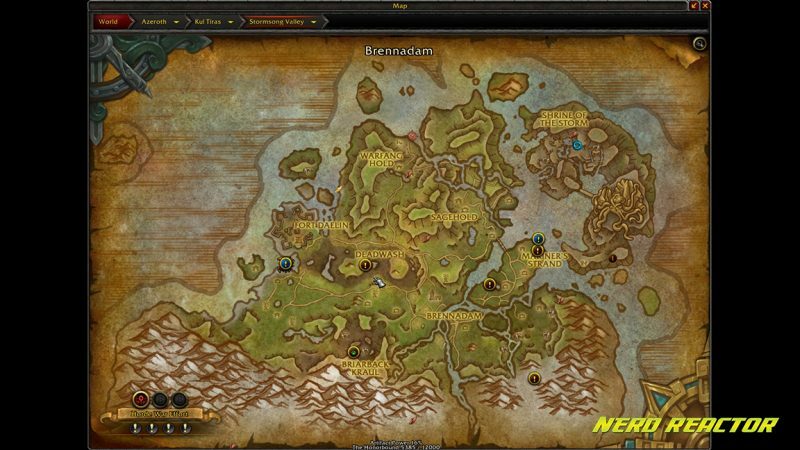 A quick look at World Quests in the region of Nazmir. Provide a new type of engagement. 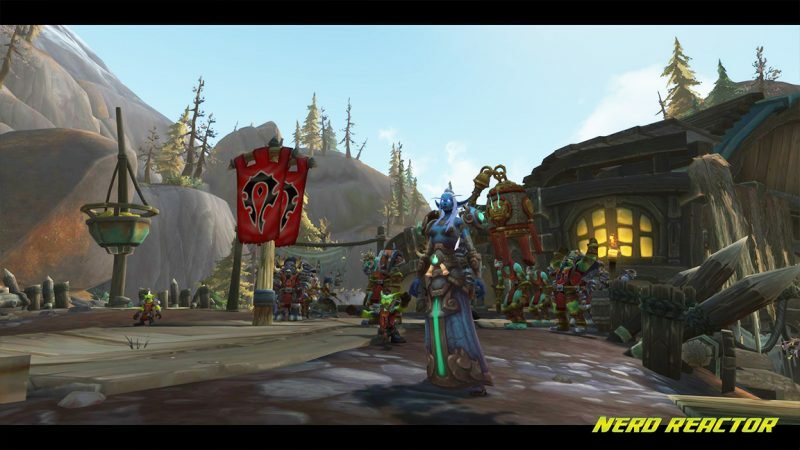 Aside from adopting systems from previous expansions, Battle for Azeroth has found a voice in how it wants to deliver content. With PvP as an optional overlay, the team has created a unique identity for the Horde and Alliance factions that we haven’t seen since Warlords of Draenor (especially with our Garrisons). The conflict over resources is a classic reason for war and the team has developed various ways that reinforce that narrative. Further the storyline. One of the questions players have considered towards the end of Legion was how Blizzard would match the epic scale and feel of that aforementioned expansion. Recognizing that Queen Azshara, the Old Gods, and the Void Lords were still on the horizon, the links to those enemies have begun to weave together through this expansion. We’re dealing with a new arc in the story, as the Burning Legion’s arc has finished. Matured. One of my greatest fears with this expansion was that it had several red flags that it would turn into the narrative mess that was Warlords of Draenor. While there are definitely some things that felt disconnected in both game mechanics and story, the large meat of activity is cohesive enough that you can play this game without staying too long on its flaws. The usage of the phasing technology, first seen in Wrath of the Lich King, has been a huge benefit to the game’s population balance and server stability. World Quests in Stormsong Valley, from the Horde perspective. Leaving the Motherlode! instance with a bang! The main storyline isn’t as strong as some other MMOs, but the various improvements to the game and the expansion of its content and lore have been great. The revisions of the abilities and talents since the loss of our Artifact Weapons have been interesting, and I know they’re still working on Shadow Priests and Enhance Shamans. If you enjoy World of Warcraft‘s theme park style MMO system, then definitely come and check it out! But if you’re looking for something more customized and allow for more freedom, that hasn’t changed much for this game. Game access was provided by the publisher for review purposes. 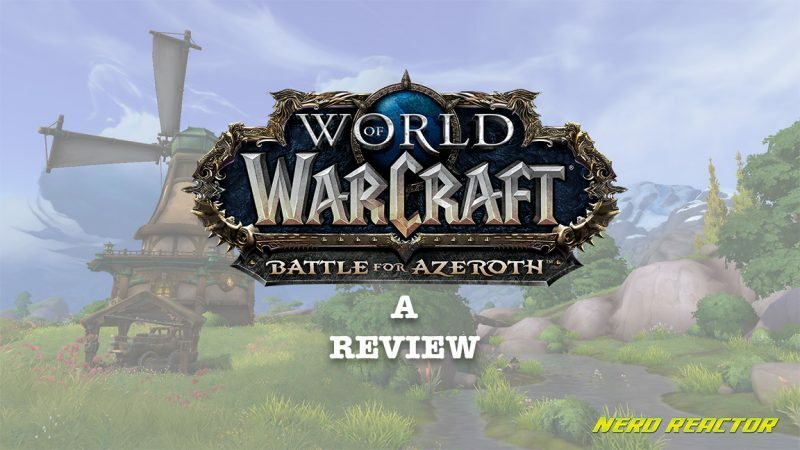 The post World of Warcraft: Battle for Azeroth (Review) appeared first on Nerd Reactor.